A 19 year old teenager will appear in the Port Elizabeth magistrate court today, 8 January 2016 on three counts of attempted murder. It is alleged that on 1 January 2016 at about 01:50, the suspect who is a gangster was in Kobus Street when he encountered with the first victim. The victim alleged that he was been robbed by members of the gang. The suspect pointed a firearm at the victim, pulled the trigger but no shot rang out. In the second incident, a 43 year old man was sleeping when he heard noises outside and when he went to investigate, he heard shots been fired. He was wounded in his left leg. The third victim an innocent bystander, a 21 year old female was allegedly walking down Kobus Road when she was shot on her right knee. The three incidents occurred in sequence on the same day. On Wednesday, 6 January 2016, the suspect was arrested by the Visible Gang Intervention Team (VGIT) in Gelvandale. He has been linked to all three incidents of attempted murder. 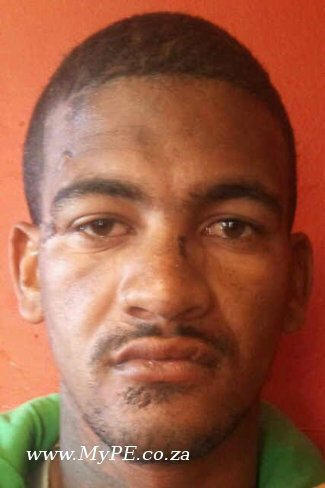 Sasha Ferreira (26) also a gang member appeared in the Port Elizabeth magistrate court on Wednesday 6 January 2016 for the allegedly shooting at police officers in Bethelsdorp on 28 November 2015. Two police officers were allegedly shot at while chasing after the suspect in Kleinskool. No injuries were sustained. The suspect was also linked to another attempted murder case which took place in November 2015 in Bethelsdorp. It is alleged that the victim (25 years) was at a tavern when he was shot in his chest by Ferreira. He will appear in court again on 13 January 2016 for a formal bail application on both cases. Police are appealing to the communities in the Northern areas to come forward and report criminals who are continuously instilling fear in the lives of the law abiding citizens. Information may be reported anonymously on 08600 10111 or to 082 387 6320. All information reported to police will be treated as strictly confidential. Be the eyes and ears of the police and together we can make our communities safer.